In this exercise you will In this exercise you will Set count and insert it before elements. 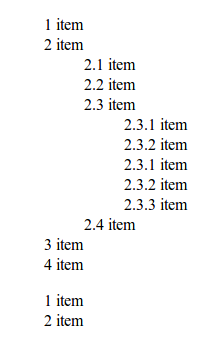 Using ol and li, you have to create a nested list as shown in the image below. Previous: Target attribute begins wth a certain value. Next: Let padding and border not affect available width and height.